One question I get pretty frequently is: What is a SMASH Journal? I talk about it quite a bit on my Twitter and my Instagram (and now my blog) that I thought I should make a go-to SMASH 101 post! 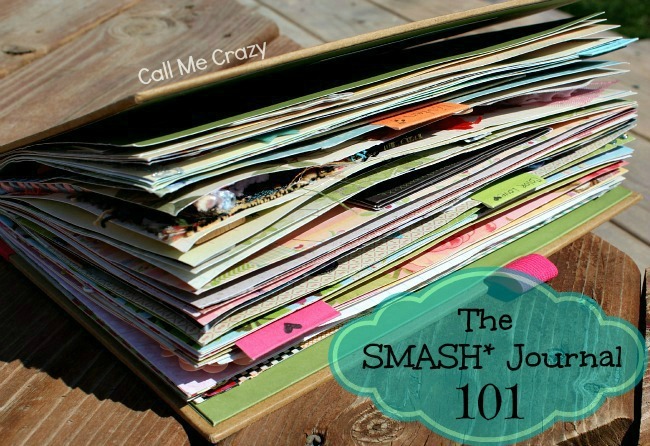 What is a SMASH* Journal? 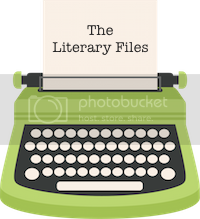 It's described in lots of ways, but I always say it's like a scrapbook, but you can put a wider variety of things in it besides just pictures. The creators of SMASH Journal say it's like a 'junk drawer'- it holds a little bit of everything! 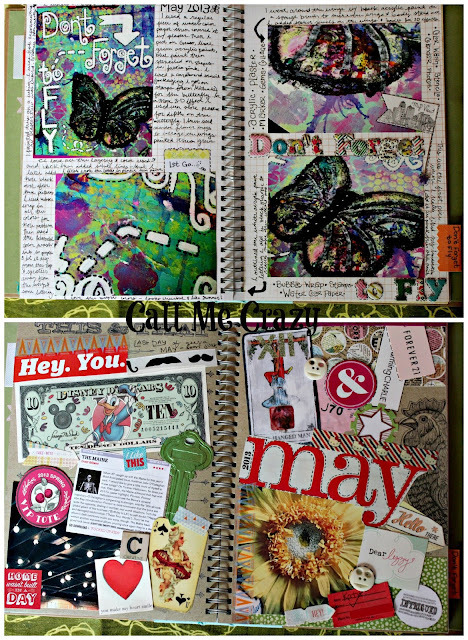 What is the difference between a SMASH Journal and a Scrapbook? I always have trouble with this questions because really both books/crafts are what you make of them and want to include. I guess the difference is that in SMASH you can journal, put in random things (receipts,things from magazines, leaves, cards: really anything) while scrapbooking is more about pictures and layouts (at least the way I scrapbook). There's not boring blank pages on the inside, depending on what SMASH journal you buy, there's colorful pages! 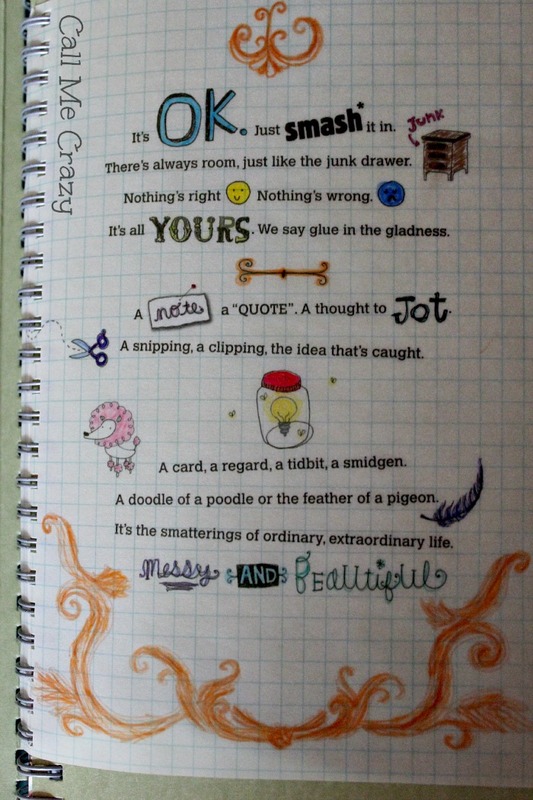 Some have just simple grids/blank pages of color, others have fun quotes and pictures. It great because it definitely sets the tone for your journal and you don't have to buy scrapbooking paper because it's already in your journal! Some pages from inside 'Retro Blue', 'Pretty Pink' and 'Doodle Red'. It' made by K&Company, however, lately there have been other companies coming out with similar journals, like Recollections (it's a binder that you have to buy pages to put in, slightly more expensive) and Snap which I think is more photo focused. Really just about any craft store. Where I've gotten my journals and goodies were from Micheal's, JoAnn's and Archivers. You also can by them on Amazon or on K&Company's website. Are there different types of SMASH Journals? How many? A ton! Every season (or every-other season) they come out with a new line.) Like in March/April they came out with their Spring/Summer Line: it has bright colors and completely different themes. The most common is the medium size (about the size of a piece of paper). It comes in all different colors, themes and patterns. 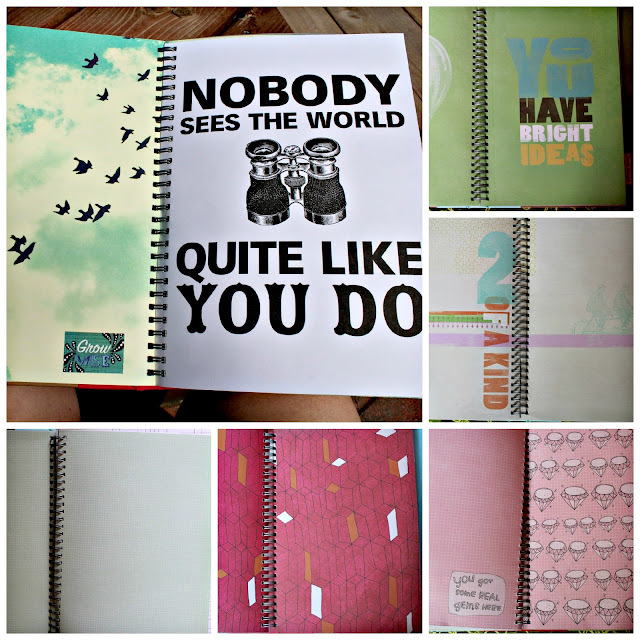 There is a large one that comes in different colors, but not as many as the medium size journal. Recently K&Company released smaller journals. They are both smaller in size and page number, but it's a great travel size. They also come in 3-D! They have different themes, but I think only two or three. They also come in kits- a SMASH Journal with some goodies! All SMASH journals are a light-cardboard brown, but there is color on the binding and a little on the front and pen holder. 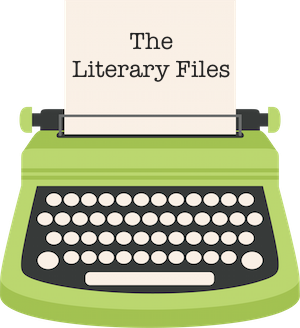 They also have different indented designs in the front and the different colors all contain different themes (for the pages on the inside). Like I have one that's 'Retro Blue'. The outside biding is light blue, with a circular/flower indented design. On the inside the pages all have a reoccurring theme (whether it's colors or images that go together). In my journal it's a Retro/springtime feel. They also have themes for special occasions, like Weddings, Babies, Vacation and probably more! Since the pages have designs on them, is there still room for you to SMASH? Yes! Not all the pages are completely cover with images, some are just a color with a light pattern in the background. Also, if you don't like an image, you can always cover it with a collage or just a photo. Are there SMASH Journal's for guys? Absolutely! Here's the one's for guys that I'd recommend, but if you look at the name of the journal, it gives you a pretty good idea what's inside. They do a pretty good job of making most of the journals gender neutral. Honestly though, there's nothing wrong with getting a guy a purple or pink one in my opinion! One of the many things I love about SMASH is how affordable it is. The average price for a regular SMASH journal (the most common, medium size one) is around $12. It includes the journal and a pen/glue stick combination. Since the journal already has fun pages on the inside I think it's a really reasonable price. Also, JoAnn's and Micheal's store have sales on the SMASH products a lot (or you can download the Micheal's app and get a 40-50% off coupon every week) so then your journal is even less money. 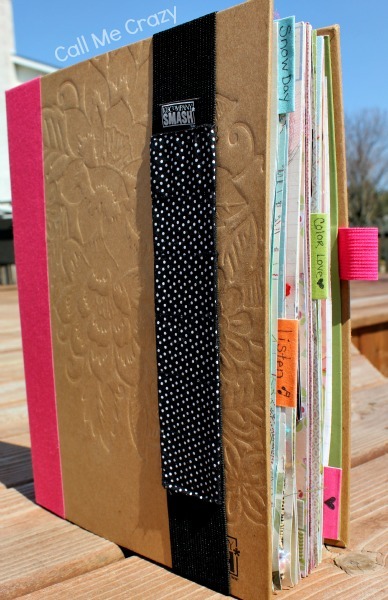 I believe the Mini and 3D SMASH journals go for around $8 dollars and the big SMASH journals go for right around $20. SMASH does have fun little goodies to put in your journal: journaling prompt cards, stickers, envelopes, tabs, arrows, chipboard, random doodles, stamps and so much more. These prices are also really great, I think the average price for these items (they come in packs of different designs/and a pretty big amount) is around $2-$8. You get a lot of stuff in the packages too, like these little tabs I have from them that I bought a couple years ago, I still have half of them left, it's wonderful! Which themes/colors do you have? Reading over this, it almost sounds like I'm trying to 'pitch' you something, but I promise this isn't a sponsored post, I just seriously love this product! It's so simple and doesn't take a lot of time or room to do. I love that it gets my creative juices flowing and lets me journal in a unique way. I wanted to incorporate my SMASH journal in my blog (like post my pages and other things) and wanted you all to know exactly what it is I'm talking about. I'll be posting pages from my journals in photos and videos on the blog soon. I'll be starting Smashing Saturday next week and would love to have you join in! I'll have all the information up this coming Saturday. It'll be a place where we can link up our posts for our SMASH pages from the week, give ideas and everything SMASH! If I missed anything or if you have any questions feel free to ask me! Love it! Years ago I had to make an altered journal for my independent study art assignment, where my teacher made my buy a thick book, rip a good amount of the pages out and make it look however I wanted on the inside. It was fun, but it took too much time to focus on, so I never finished it! Maybe I'll get back to it one day! How awesome! I had to do that for an independent study in high school too! I ended up loving it so much that I decided to make another for a final, totally agree thought-takes a lot of time! I'd love to get back into it too! What a fun idea. Years from now you're going to love love going back and reflecting on all the things that inspired you during this time. I love this! 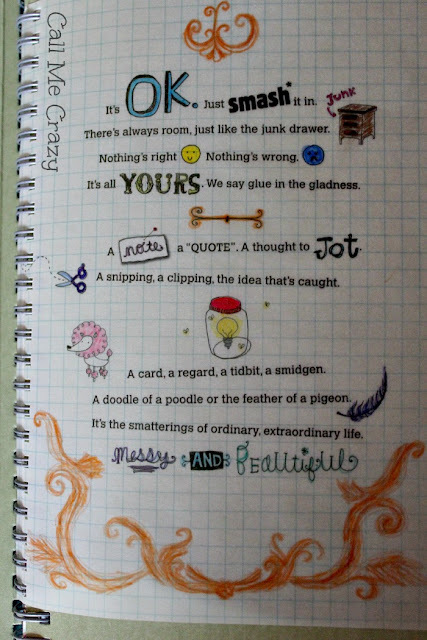 It really makes me wish I was into journaling. I always try and fail to keep up with it, haha. Love yours, though! And I love the idea. Very cool. I've been seeing these in Target for a while now and haven't really checked it out. Thanks for this post, now I want one. I really want to get started :) Thank you for the post. I hope you love it, Carrie! Aw no problem- thank you! I'm so happy to hear you've kept and still look through them! I can't wait until I'm able to look back on mine and remember.